Our Interactive cones are a very unique party game with a ton of options for play. You can set them up any way you prefer such as really close together to use as a table game or come up with your own obstacle course or multiplayer game. The entire system is wireless including the scoreboard so it can be used indoors or out. Be sure to check out the video showing lots of gameplay options for our Interactive cones. 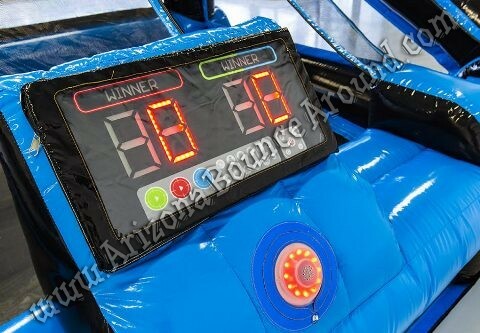 This is a great game for kids, teens, or adults and is perfect for team building, give away challenges or promotions. 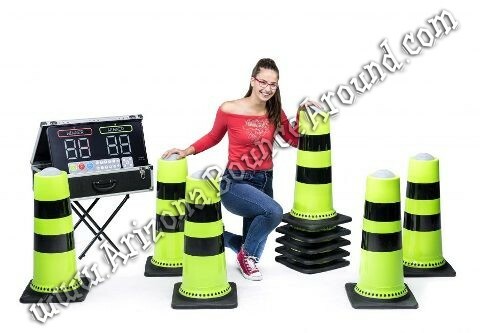 It's also a great living room or patio game for teen parties.